As a chef I spend most of my time trying to dream up recipes using the most elaborate ingredients possible and then attempting to come up with new and innovative ways to cook and present them. This is all great fun and is a major part of cooking these days, but sometimes food just needs to be there for the family in a fun and nutritious way. Try to avoid the pre minced stuff on the supermarket shelves and instead go to a real butcher and ask them to mince some lean beef for you, this way you know you are getting good lean beef instead of any old rubbish packed with fat. Just had a great weekend at the Home and Leisure expo in Tauranga. 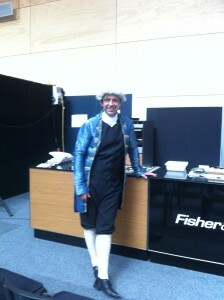 All a bit different for me as I was in costume as Captain Cook, basically story telling with food. Almost 250 years ago the Admiralty was asked by the King to provide a ship and crew to transport the Royal society scientists to Tahiti to witness the passage of Venus through the Southern Hemisphere. As you can understand the idea of using a ship of the line with a seasoned crew during a time of war to go on a suicide mission to the dark side of the planet had little appeal, however how do you turn down the King? Simple answer you don’t. What you do is find a thoroughly expendable officer with no wartime credentials, give him a crew of misfits and a secondhand merchant ship. Enter Lieutenant James Cook, The son of a farm laborer from the north east of England. A man truly suited to the role of expendable explorer. Having first gone to sea from the village of Staithes and then on to the collier ships in Whitby, he joined the Royal Navy in his late twenties as an ordinary Seaman where he proved to be a fast learner and an exquisite cartographer. Who better to send on a pointless diversion than an upstart who happens to draw pretty maps, if he doesn’t make it back who cares? and if he does at least they’ll have some new charts. Only problem is that he isn’t an officer, he’s a bosuns mate and cartographer, The solution is easy, make him a lieutenant and send him. So starts the first of James Cook’s three voyages, a catalogue of failure and glory traveling hand in hand. His orders for the first voyage were to plot the passage of Venus from Tahiti and then, in his secret orders, to travel west and find the great southern continent. They later found that his calculations for the transit were inaccurate and he couldn’t find Terra Australis. The now Captain Cook’s second voyage didn’t fare much better, sent back to find the great southern continent that he had obviously missed on his first voyage, all he managed to do was prove that it did not exist. Finally to his third voyage. The Admiralty had been trying to find the Northwest Passage, a short cut to Asia, from the Atlantic, with no success and so decided to try from the Pacific. Who better to send than the same expendable officer who had been there twice before? Yet again all Captain Cook managed to do was prove that the passage did not exist, and then to cap it all off he failed to stay alive, dying on a beach in Hawaii beaten to death by the natives who only days earlier had lauded him as a god. This however only tells half the story. Without doubt, Captain James Cook was one of the world’s most glorious explorers. During his three Pacific voyages his wooden ships circled the world, went further north and further south than any wooden sailing ship had ever been before, or since. Navigating the ice bound fringes of the Antarctic and arctic circles, where the sails froze solid and the rigging hung with icicles. They sailed in tropical seas where they survived hurricanes, lightning strikes and volcanic eruptions; edged around uncharted lands and islands always in danger of shipwreck; and in one harbour after another, found unknown people. For any time and in any culture these were remarkable voyages. Like the first men in space they were truly off the map surviving on their skills and wits. Along the way he managed to create charts of such exquisite accuracy that some are still in use today. His voyages epitomize the European conquest of nature, fixing the location of coastlines by the use of instruments and mathematical calculation, classifying and collecting plants, animals, insects and people. In effect one man named, or more accurately renamed, one third of the globe. As if this wasn’t enough, he was the first ships captain to beat the maritime scourge, scurvy. Before Cooks first voyage any ship at sea for more than six weeks would routinely lose a third of its crew to scurvy, in Cooks nearly three years off the map he didn’t lose one. Through his own diligence and dedication to the health and wellbeing of his crew he became the ultimate global hunter gatherer. At every opportunity he had to restock his supplies of food and water often with things never before seen by Europeans. Roast chopped vegetables (except spinach), garlic and olive oil in a pre-heated oven at 180°C for 30 to 40 mins until golden brown. Meanwhile, wash quinoa with cold water in a sieve and squeeze dry in a clean tea towel. Place quinoa in a pan, place over a medium heat and fry until lightly toasted. Cover with boiling water or stock and simmer gently until all the liquid has been absorbed. Remove vegetables from oven and add to quinoa with spinach and seasoning. Add dressing and mix well. Place in a bowl with panfried Snapper on top and serve. Melt the butter in a frying pan and when foaming add the berries and orange zest. Cook gently over a low heat until the fruit begins to soften (about 2 minutes) then add the sugar, mixing well, and cook until the sugar melts and the mixture becomes syrupy. Add just enough breadcrumbs to soak up the syrup and stir. Meanwhile add the egg whites to a clean bowl and whisk into soft peaks. In a separate bowl beat together the egg yolks, cream, nutmeg and liqueur. Slowly add the egg yolk mixture into the gooseberry mixture, stirring slowly. Fold-in the egg whites and continue cooking on very low heat until the mixture sets. If necessary, place the tansy under a low grill or use a blow torch to set the top. Dust with icing sugar, decorate with a few sprigs of mint and serve. Sometimes I just get the coolest jobs! This was a day doing canapes for a corporate day on the Spirit of New Zealand. Looking out of my office window today it’s obvious that spring is very much with us, there’s new growth all around and an air of optimism as the natural world throws off the cloak of winter and stretches. I love this time of year as we see all sorts of things making their annual appearance in our kitchens, for those of you that haven’t had any new season asparagus yet I urge you to grab some and marvel at the delicate flavour. Place 2 cups of couscous in a heavy bowl. Boil 2 ½ cups of water and add to the couscous. Uncover and fluff up with a fork – the grains of couscous will have absorbed the liquid without becoming mushy. In a saucepan, heat 4 tablespoons of olive oil. When the oil is hot add 2 cups of couscous and a good shake of salt. Cook for 2-3 mins until the couscous is golden, stirring constantly to prevent burning. Add 2 ½ cups of boiling water. Remove from the heat and cover. Let the couscous sit until all the water is absorbed and the grains are soft – about 5 mins. Loosen the couscous with a fork and serve. Some nights it’s just got to be left overs, in this case left over from a catering job. I served these as a starter to clients but made a few extra just for us, that said they are really easy to make and go down really well when all of us get home late and just want food on the table as quickly as possible. Put the unpeeled potatoes in salted boiling water for exactly 10 minutes. Mix remaining ingredients in a bowl. When potatoes are cooked, drain. When cool enough to handle, peel off the skins and grate. Carefully combine both mixtures and portion. Place portions on a tray and chill for at least 2 hours to become firm. Meanwhile prepare sauce: sweat shallots, leek and garlic in the olive oil. Add stock and champagne to the pan and reduce to quarter of original volume. In a second pan, reduce cream to half the original volume. Add stock mix to cream and hand whisk. Add lemon juice, chopped chives and seasoning to taste. When cool, put into a box and refrigerate. Heat a frying pan until almost smoking and place fish cakes carefully into hot pan, working in four portion batches. Cook for 3 minutes each side; they should be golden brown but barely cooked in the middle. Lift out onto paper towels and squeeze a few drops of lemon juice on top. When cool, place in an airtight box and refrigerate. Reheat fish cakes in oven at 200°C for 5 – 10 minutes. Meanwhile, reheat sauce on a low heat in a saucepan. Place a small handful of salad greens in the centre of each plate, place hot fishcakes on top, spoon over sauce and serve immediately. I keep banging on about food should be fun, and this roast beef is one of those where the use of spices takes the whole meal to a new level. Nobody ever guesses that the lovely crunchy crust is really curry powder and salt. Use the mild curry powder and either rock or flaky salt. Choose your meat carefully, cheaper meat tends to carry more fat not just on the surface but also in amongst the muscle fibre. Try Cambrian Meats in Judea or Harmony Meats at the good food trading company. Mix all the powders together and spread on the fat layer of the sirloin. (This will make it very crispy.) allow to sit at room temperature for at least 1 hour. Roast chopped vegetables (except spinach), garlic and olive oil in a pre-heated oven at 180°C for 30 to 40 mins until golden brown. Remove vegetables from oven and add spinach and seasoning. Add dressing and mix well.